SKU: PN1165. Category: Flowers, Miriam Haskell, Pins. 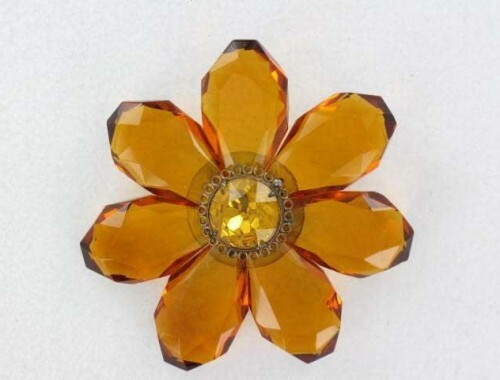 Early Miriam Haskell flower pin. 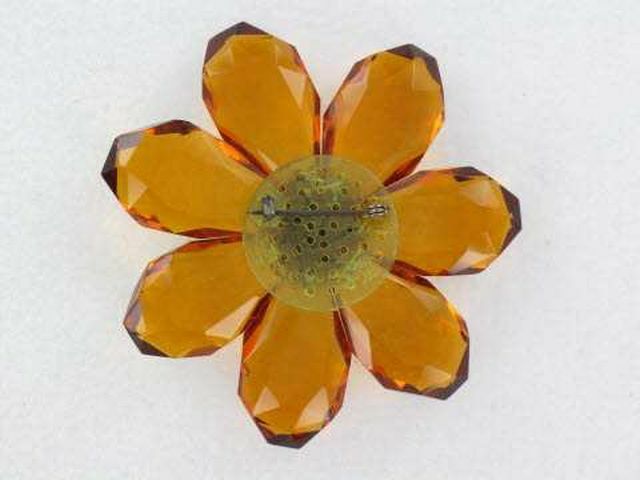 Gorgeous amber glass petals and center are wired to the plastic perforated base. Absolutely stunning! 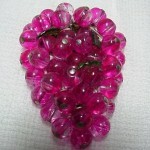 Measures 3″ in diameter. Excellent condition.